The story gives the history of the restaurant from a shed opened in 1937 by Louis Hontalas, a Greek immigrant, and his wife Helen; how they worked and modestly improved the place over the years and then passed it on to their son who, in turn, passed it on to his two sons, Tom and Bill, how the land eventually became part of the Golden Gate National Recreation Area and how, their initial lease being up, they must now bid to retain the restaurant – an unlikely prospect. We have similar stories up where I live, in the Point Reyes National Seashore. As I mentioned in another post, in May of 1955 I started working as a dishwasher and general kitchen navvy in the diet kitchen of Mount Zion Hospital. There I became friends with Helen Hontalas, a diet clerk, which isn’t much above dishwasher in the workplace social hierarchy. She told me of her father, Louis, who was by that time either retired or half-retired, and her brother (named Danny as I recall, but I am not very confident of my memory here) who was now running the restaurant. The Hontalases were Cretan – I understand the name is quite common there – who differ in a number of respects from mainland Greeks. We would talk about the cultural differences, how Cretan bouzouki playing was unique (in New York, Chris Rohlfing, who was the designer at the U of Chicago’s University Theatre when I started there, had a collection of bouzouki records, which led to a great puzzle: in the middle of a Niagara of guitar notes the player would say something that sounded like “Yasha-ma-giddy” and we had no idea what it meant; Helen once told me but, of course, I can’t remember something like that) and, of course, the food! Terry and I were wild about Greek cooking (I just recently started buying completely unfiltered Greek olive oil again, via the net). At one point I got onto the subject of cooking octopus and Helen said that Louis prepared wonderful octopus dishes. That started me requesting, nagging, pleading for Louis to cook octopus for us. There was always something wrong: the weather wasn’t right, the tides weren’t right, the moon wasn’t full or, much of the time Louis was at his little place in Sonoma rather than the house he shared with Helen in the Avenues. After months of this, on a Sunday afternoon Terry and I were at the end of the pier in Santa Cruz where there was a very large fishermen’s market and there, on a deck scale, was a huge giant octopus. I asked the salesman if I could buy just a part of one and he said, “Sure, how much do you want?” Could I get just one tentacle? He picked up the end of one, wrapped it around his wrist a couple of times, lifted it to put tension on it and sliced off at the body. The tourists witnessing this backed all the way across the pier, almost falling into the drink. The one tentacle weighed nearly five pounds. I did what I knew to do with it. First I dipped it in boiling water for just a couple of minutes to loosen the skin, peeled it and pulled the suckers off (which were exactly like large union-suit buttons) and cut the meat into ¾” wheels. Then I fried it for a long time in olive oil with garlic and served. We chewed and chewed but couldn’t even get a piece to break, it just bounced around in the mouth. I actually swallowed one or two pieces whole. After we gave up, I tried to cut the pieces with my chef’s knife – no luck. The pieces had the consistency and durability of handballs. I told Helen about this culinary disaster and she said she would consult Louis about it. Louis told her you have to take the raw tentacle down in the basement, wrap the small end around your wrist and then swinging from the hips slam the tentacle on the concrete floor no less than fifty times. Then you do all the rest. The sad story did accomplish one thing though, it caused Louis to relent and he invited us over for dinner – but it wouldn’t be octopus, the moon wasn’t full. I mentioned that Louis liked to spend a lot time at his Sonoma cottage but not just to look at the mustard flowers, he had a purpose and work to do. In the back he had a small field of grape vines. He grew his own grapes, crushed them, made wine and then distilled the wine into very high powered grappa. To this he added oil of anise (and maybe a little water? I doubt it somehow) and made his own authentic home-made ouzo. How strong was it? Maybe 120 proof, maybe 140, maybe more – who could tell? When we got to the Hontalas’ house there, on the coffee table was a little pump bottle with six glasses hanging from it and a pitcher of ice water. You made a drink by pouring a little ice water in a glass and then pumping in some ouzo which immediately produces a white cloud in the glass (like anisette, for the same reason). The more we drank of these Greek a-bombs the livelier Louis got despite his age (which must have been near 70 at the time) until he was finally performing Greek dances from the deep squatting position – it was some show. Then came dinner: a great bowl of home-made dolmades, log-piles of fresh asparagus (perhaps from his own garden), rice, or some such, and some meat, almost certainly lamb, I just don’t remember. We especially indulged ourselves with the asparagus (which wasn’t so commonly available then) and the dolmades and went home quite drunk to sleep it all off. The family that has run a beloved old-style diner on the western edge of San Francisco for seven decades will get to keep the restaurant, but will have to jettison many of its old ways. The Hontalas family, whose sweat over 73 years made Louis’ Restaurant a city landmark, beat out three other bidders for a new 10-year lease on the property, according to the National Park Service, which owns the land. 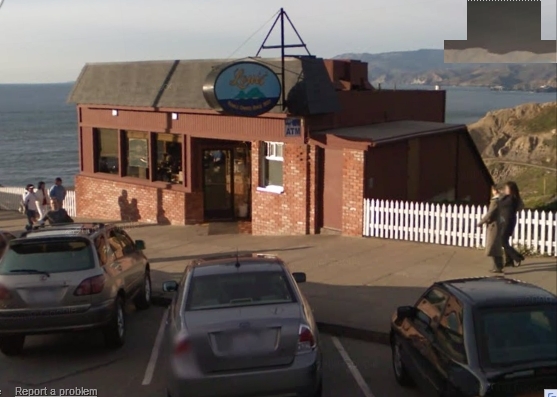 The deal means the oceanside eatery will remain in the hands of the descendants of founder Louis Hontalas, a Greek immigrant who opened the place on Point Lobos Avenue during the Great Depression to help make ends meet. The landmark will now have to close on Dec. 1 for renovations that are expected to take four months. When it reopens, the homey, chew-the-fat-with-your-buddies atmosphere might very well come with a higher price, and less fat, thanks to federal requirements. The competitive bidding process was a tense affair because it opened up the possibility that some out-of-town big shot would throw out a family that has owned the restaurant for the better part of a century. The possibility was hard for many loyal patrons to swallow. A Louis’ Restaurant Facebook page attracted nearly 3,000 supporters, most of whom signed a petition urging the Golden Gate National Recreation Area, which acquired the property in 1973, to renew the Hontalases’ lease.